This work is made with an analog video feedback from a closed circuit system with free-flowing electronic data. No outer video/sound source is used; the video machines and circuits contain subtle noises that are amplified in the loop to generate infinite data flows. When these are put into the video input, they display the various figure and color mutations. When they are put into the audio input, they make sounds that are synchronized with the image. 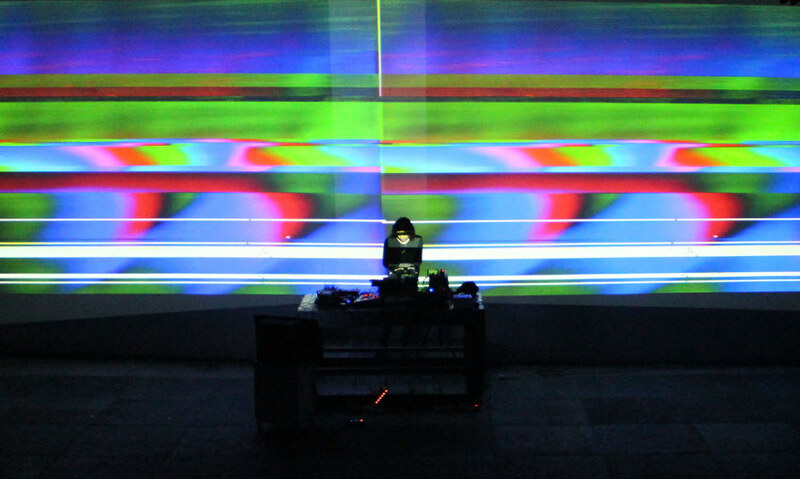 When performing live, he improvises with analogue video feedback, using some heavyweight editing gears to achieve their hallucinatory results. class="pirenko_portfolios-template-default single single-pirenko_portfolios postid-484 samba_theme samba_left_nav samba_left_align samba_responsive wpb-js-composer js-comp-ver-5.0 vc_responsive"